Federal officials want to move quickly to transition Medicare reimbursement away from models based solely on volume of services. A new study demonstrates how far they need to go. 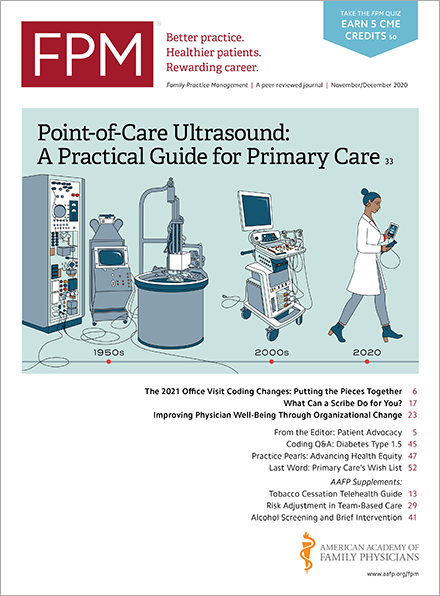 In results published in Health Affairs(content.healthaffairs.org), the study found that only 5 percent of patient office visits in 2013 were paid based on capitation arrangements and the remaining 95 percent were all some form of fee-for-service. The researchers, using data mined from the annual Medical Expenditure Panel Survey, noted that capitation, which sought to shift some or all of the financial risk for providing patient care to physicians, has seen a steady decline in acceptance since its inception in the 1990s and especially during the 2000s. New models, such as those detailed in the Medicare Access and CHIP Reauthorization Act of 2015, are designed to reward physicians based on value and quality of patient care. Supporters believe value-based care is less expensive and could reduce the number of unnecessary tests, procedures, and other services that can go unchecked under fee-for-service. However, many physicians worry that attempts to measure value and quality will be cumbersome and ineffective, and could penalize them unfairly. The researchers suggested that physicians may be more willing to embrace value-based care than they were to embrace capitation, but they acknowledged physicians' reluctance. “Providers’ willingness to participate in new payment mechanisms will likely be closely tied to the extent that they are required to assume risk,” the study said. Largely because of this, fee-for-service remains a key mechanism for paying physicians even within organizations set up to emphasize value, such as accountable care organizations.